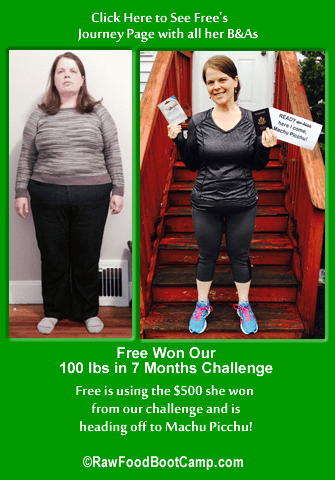 Lose 100 lbs in 7 Months and win $500!! 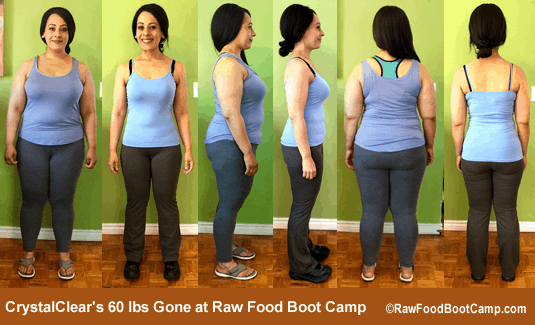 Raw Food Boot Camp started with only the raw food diet Carlene used to lose her 136 lbs in 9 months. 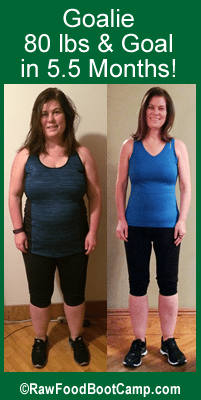 While Carlene’s passion is helping obese women get thin, fit and healthy with her Rawk Starz program she realized along the way that permanent weight loss is about a lot more than losing weight. It’s about beating obesity not just physically but mentally as well. It’s about demolishing all weight loss obstacles. Easy and hard. It is about giving up old standbys like emotional eating, reward eating, and eating when frustrated or bored. Your hard work and patience are needed to break old fat brain habits and food issues. You must learn to forgive yourself when you’re not perfect and have the courage to get back up after a fall and push through. Everyone has to face their fat brain and turn it into a thin brain either while losing the weight or during maintenance. There’s no way around the fat brain. You have to replace it with a thin brain or it will always lay in wait to trip you up regardless of how fast or how diligent you were through weight loss. And no, just because you lose the weight with raw food, you don’t have to live on raw food. We have a slow, transition to maintenance program you design with Carlene’s help. A diet that will satisfy as well as sustain your weight for life. We understand the fears, the humiliation, the hiding. And we know how to fight through it. Carlene believes in the power of working with peers. All discussions and audios are geared toward the RFBC team as a whole. We work together to figure out how to break the habits that have kept us heavy. 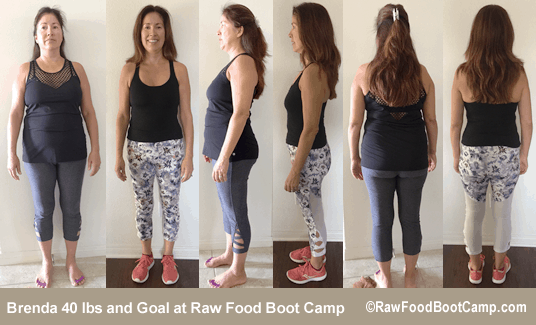 We have women from all over the world at Raw Food Boot Camp, therefore, there is no set time for anything. Participate online in your time. We use a forum and an internal private messaging system to talk to each other. They are available on both computer and smart devices. We track and graph your weigh ins every Monday, Wednesday and Friday. We offer small groups for intimate discussions with those on the same path as you. For those who purchase one of our options to work with Carlene, there are challenges available, and she is always available for extra support and tweaking of your plans via emails. This is our regular side of camp. Everyone who needs to lose at least 30 lbs is eligible for the Change With Carlene side of camp. All whole food healthy diets and exercise programs are welcome. If you join our Group Only program this is where you will be. Most of our members work on this side of camp. You still get Carlene with the Access to Carlene and Daily with Carlene memberships, but not with the intensity she brings to our Rawk Starz Divas. Commitment and accountability are still huge. When you join be ready to work hard and to deal with your food issues and struggles as you lose your weight. Everyone who joins RFBC is in our Change With Carlene program unless they have applied for and been invited to join Carlene’s Rawk Starz Diva program. Currently taking Application for May start on Tuesday, April 30th. This program follows our Rawk Starz diet tweaked even further for fast healthy weight loss. You have to have 50+ lbs to lose to join this side of camp. It requires a huge commitment, focus, determination and daily participation. This side gets Carlene in her drill sergeant mode. You have to apply for this side of camp. Use the button below to learn more and to apply. This program works the way RFBC ran back in 2005 and how all those women who won our 100 lb challenge did it. No excuses, no days off, put on the blinders and run for goal. Be warned, all those bad food habits, fat brain lies, and cravings will be waiting for you in maintenance. Plan to get to goal and to stay for the ensuing battle to keep it, especially that first year. This is the program to do if you want to win the 50 lb and/or 100 lb Challenge. There’s a special perk for those who have to lose 80 or more pounds who join this program in April 2019. There are daily audios Monday through Saturday. Each is recorded the night before. They are based on the struggles going on for the women at camp. Every day there is a daily discussion thread based on those audios where you discuss with your peers your own struggles and how to best get past them. For added support, we offer smaller conversation groups where you can work with other women who are doing a similar program as you. We offer challenges to motivate you to keep pushing through each day. Carlene is passionate about helping you beat obesity, but the truth is she can’t do it for you. You have to put in the effort. You have to fight through the struggles and the cravings. Carlene and the other members of RFBC are there to guide and support you, but in the end, it is you who has to do the hard work. Carlene is not your fairy godmother. She can’t bop you on the head and make you thin. She can, however, give you the tools, knowledge and drive to make your own miracle come true. Remember, reality can be a tough mistress. Without her, we can never change. Carlene does not coddle, she tells you the truth. Obesity is a serious issue and at RFBC we all believe it is not only our right but our responsibility to beat it. If you decide to join us, be ready from day one to be all in. Ready, Set, Go and then Do! Since 2005, we have used Carlene’s Rawk Starz diet and walking for fast weight loss. This is a low fat, low sodium, low sugar raw food diet with 2 hours a day of walking. It is great for all or nothing types. But, it has its drawbacks. Those who run through big weight loss fast, skip the struggle that’s needed to beat what Carlene likes to call the Fat Brain. This struggle will happen in maintenance. There is no getting around it. For the obese, this is the perfect diet if you are at all like Carlene. She never had the patience for slow weight loss and gave up on those diets fast. Our Rawk Starz diet is a simple grab and go diet, no fuss, no mess. It’s a head down, just get it done type of program. To succeed at fast weight loss requires focus and discipline. And most importantly, to take it all the way to goal, it requires you to throw out all ideas of perfection. The idea of perfection is the top reason women give up on healthy fast weight loss diets. Click here to listen to Carlene’s podcast on Perfection. While not as much fun as fast weight loss, steady weight loss is better. It allows you the time to work through your food issues so when you get to maintenance most the struggles are behind you. But beware, maintenance always brings its own struggles like the idea that you’re cured and can go back to old behaviors. That is the biggest struggle you’ll face once you lose all your weight. A whole food diet plan that maintains the low fat, low sodium, low sugar framework can give you nice steady weight loss. It’s not as fast as our all raw plan, but it seems more sustainable for many and in the end, sustainability is what gets us not just to goal, but through maintenance. You can bring with you any whole food healthy diet if you are willing to work with Carlene to tweak so it works within our guidelines for steady weight loss. We don’t do juicing or fasting for weight loss. Slow weight loss is the thing we all missed out on in our lives. Had we just stuck to a diet that let us lose even just a pound a week, each year we would have lost 52 lbs. In all the years you’ve been dieting, what if you had done that? Weight loss wouldn’t be on your mind. A slow weight loss diet is a diet you can live on for life, modified to give you some weight loss each week. It’s not for everyone, few have the patience to lose weight slowly. Which is too bad. If we had a true base diet we loved and with minor modifications let us lose weight, there would be no obesity. Exercise is required at RFBC. Daily exercise. In our experience, anaerobic exercise such as spinning doesn’t burn fat for weight loss. Yoga doesn’t burn fat, neither does pilates. Walking is our exercise of choice. Hiking, snowshoeing, swimming and treadmill on incline give the best results. It seems to be time and heart rate that makes the difference. Effort over speed. If you want any type of satisfying weight loss you need to commit to a minimum of 1 hour a day, every day to get in your exercise. Most diets can offer steady weight loss. Exercise is important. Walking is the top exercise for weight loss. We have found that anaerobic exercise doesn’t burn fat the way extended effort does. Hiking, snowshoeing, swimming and a treadmill on incline give the best results. And it needs to be daily. Maintenance is as important an aspect of RFBC as weight loss. Losing weight and getting healthy does not cure obesity. Most of us can never go back to old ways of eating although that is the fantasy most bring with them to RFBC. We are not a quick fix program. Sure fast weight loss is great. Getting healthy and finding well-being is awesome, but if you don’t come up with a good maintenance plan all your efforts will quickly disappear. When you reach goal, expect to give a good 3 months to learn how to maintain it. Few want to do that at first, but then they always come back to lose the 20-30 lbs they regain soon after leaving. While we all love fast weight loss, it happens so fast and we’re so focused that we don’t have time to learn how to deal with our bad food habits. They all rush back as soon as we let our guard down. At RFBC we offer a maintenance program. 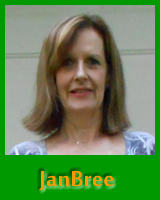 As you near goal, Carlene will work with you preparing for the transition to maintenance. 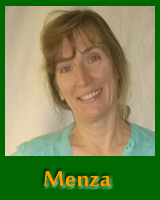 She will help you introduce healthy foods back into your diet that you have abstained from for weight loss. But slowly. Each food has to be checked to see if it stimulates cravings. The rule is if it whispers your name from the fridge or cabinet you’re not ready for it. We also need to see how your body handles it. While some can go back to limited complex carbs, many can’t. Our rule is once you have been a paying member of RFBC for 9 months and have completed 3 full months of maintaining your weight as a member, you gain Maintainer status. 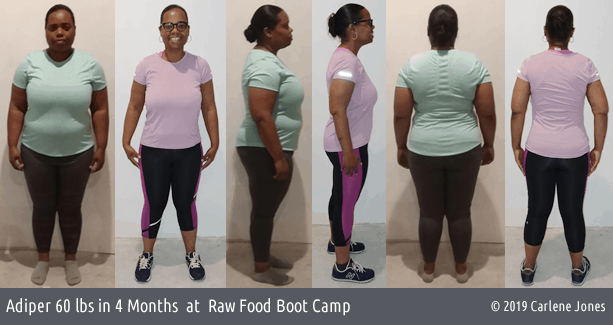 If you weigh in with us at least once a month after those 3 months, as long as you stay within 10 lbs of your goal weight membership is free at camp. 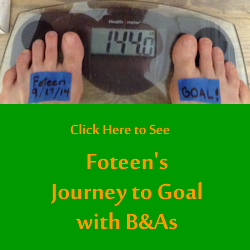 If you go over the 10 lbs, then you have to pay for your membership until you return to goal. Then it’s free again. It takes more patience and perseverance to truly learn how to maintain your weight than it does to lose it. So, if you join RFBC count on being with us past goal so you can cement your new weight and learn to maintain a diet aka lifestyle that works for you. Healthy, happy, and fit for life. 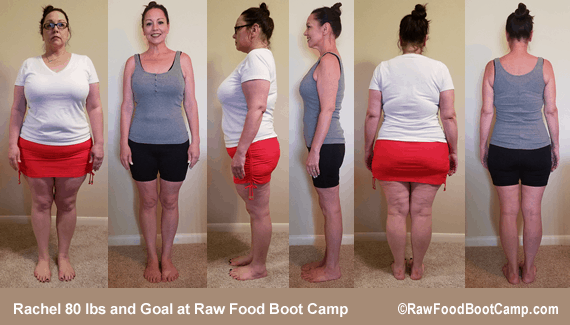 Raw Food Boot Camp® was started on December 28, 2005, after those following Carlene’s 136 lbs gone in 9 months journey talked her into starting an online support program so they could accomplish what she did: fast weight loss with a raw food diet. And not just quick weight loss but pain management and improved health, and best of all a better sense of well-being. Carlene believes so strongly in this raw food diet that for over thirteen years she has used it to help other obese women achieve what they believed impossible, but not everyone can do raw, so she has created quick weight loss plans for a vegan diet and a quick weight loss plans for a whole food diet as well. She is all about getting healthy and these fast weight loss plans will do that for everyone. Losing weight is easy. It’s keeping it off that’s hard. Healthy Fast Weight Loss Motivates, but it can get to you! That’s why RFBC offers a variety of challenges to help you stay motivated and on task. 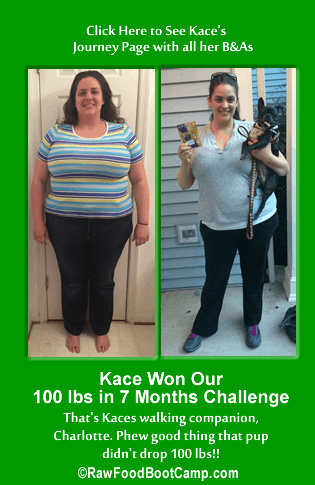 100 lbs in 7 Months Challenge to win $500!! 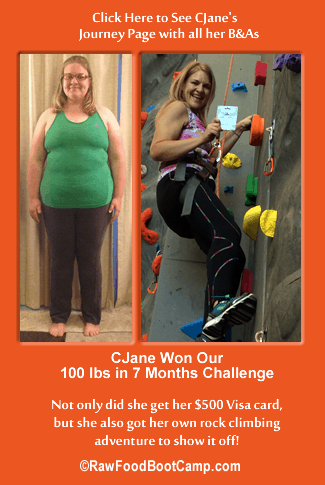 50 lbs in 3 Months Challenge to win 2 Free Months of Camp! Every month there is a 10 lb Challenge to win a Free Week of Camp! Beware though, for some the pressure of a challenge throws them off course. The minute they think they can’t win, they give up. Carlene knows this and will keep tabs on you so you can not only win the challenges but stay motivated past winning them. Some of our members were kind enough to show their faces and let me put together a Member Journey Page for them. Click on the photos below to go to their Journey page. All of their before and afters are listed. There is an In Her Own Words section, where they answer five questions I put to them. 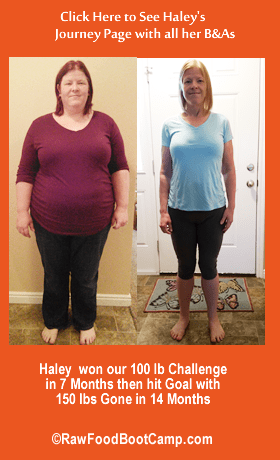 These women have lost over 60 lbs and hit goal using our Rawk Starz diet and walking 2 hours a day. We offer other programs as well. 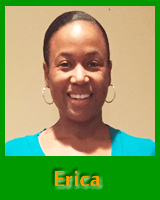 Actually, Menza and Erica are frequent visitors at camp. Onecia is there too, but she was a no-photo member. 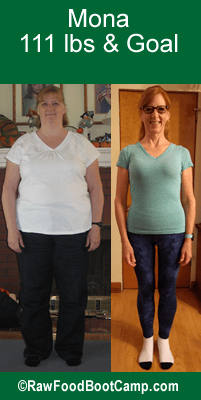 Onecia lost her weight and has maintained it for years on a whole food diet. 87 lbs Gone & Goal! 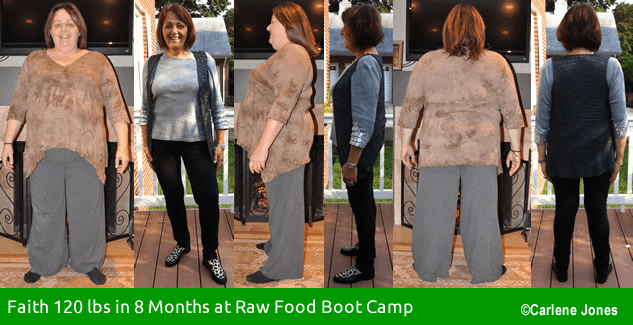 We are a small intimate group of obese women who have tired of our obesity and are using a raw food diet or a whole food diet and walking as a means to lose weight fast then learn to maintain that weight with a whole foods diet. While fast weight loss is important to most who join, in reality, it is a means to get to where we really want to go…a life without food obsessions, without constantly thinking about our weight. A life free of obesity and all it brings. To get there takes work. Every day at RFBC, we work on changing our relationship to food. We work on cutting the cord between emotions and food. We work on overcoming the obstacles that we or others have placed in our way from having the happy, healthy life we deserve. There is never any psychoanalyzing. We never judge. This is true peer to peer work that works! We are not a quick fix program. Please know that before joining. If you aren’t ready to tackle your food habits and truly beat the obesity mindset, then we aren’t for you. Carlene believes it is our right and our responsibility to be healthy. With so many years, decades even of poor food choices and deteriorating health we owe it to ourselves to make the hard choices, to choose vitality and quality of life over anything a few bites of flavor can offer. Not that she doesn’t get the pleasure food brings, it’s just that for most of us who are obese, that second of flavor is not worth the days, months, years of hardship and pain obesity bring. 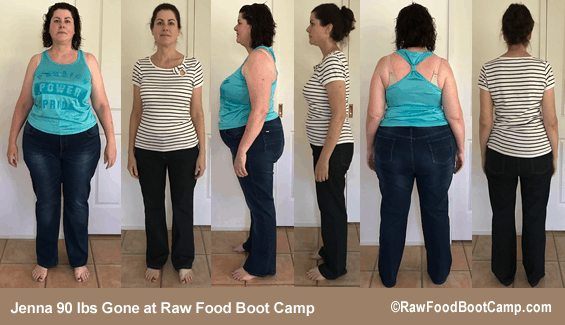 When you join Raw Food Boot Camp and hire Carlene as your weight loss coach, be ready and willing to fight for what you want, to ask for support when you need it, and to believe in your right to live happy without the burden of obesity. Carlene and the other members of RFBC will be there with you every step of the way. Holding your hand, pulling you forward and lifting you out of any pitfalls along the way. But you have to be willing to let us help and open to the changes you need to make to not just lose the weight but keep it off for good. Honesty with yourself. Courage to seek support. Patience with your body. And the determination to succeed are the true paths to success. Join Us and Make Yours Go Away! † Photos are requried for both Access to Carlene and Daily with Carlene Memberships at the listed prices. You can choose our No Photo Option on signup for $50 more per month. The difference is me basically paying you to share your before and afters. I will always cut off your head. That is the standard. Only those who choose our 100 lb challenge, or on winning the 50 lb challenge wanting the extra free month of camp, or those which are many who volunteer to show their face do I share their faces. I understand you wanting to keep your weight loss journey private. But face it, it is the before and afters of our members who show their face that you are inspired by.